This is third and final part of the transcript of a talk delivered by late Prof. Kasturi many years ago. This is being brought to you from our archives and we regret that we do not have the exact date of this talk, but we can say with reasonable surety that it was in the year 1987. All these miracles are mysterious happenings. We can’t understand them and we are not able to explain them. Why does Baba perform these miracles? It is in order to draw people to Himself. There is one Dr. Bhaskaran Nair, a professor of zoology, who spoke at the Summer Showers course the other day. He was in Trivandaram, far down in the south-west of India. He had a son who had a weak heart, which was palpitating. Every morning he would peep into his son’s bedroom to find out whether he was still alive because his heart was so bad. He did not know of Baba in any way. 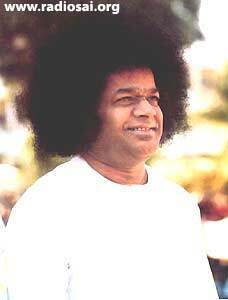 Then one day, the boy told his father he had dreamt of someone with a big halo of hair Who said: “You come to Puttaparthi!” which was a name unheard of by both of them. So Bhaskar Nair asked his son if this name was entirely clear. “Yes! It was clear - ‘Puttaparthi’” his son said. So the father got a railway timetable, to find out if Puttaparthi is actually a place. He did not find it there. Then he got a post office guide and found there was indeed a place called Puttaparthi! He embraced his son and said: “Your dream is true! There is a place called Puttaparthi in India! What a wonderful thing! And you have been asked to come to Puttaparthi! 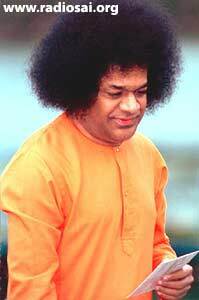 What a great act of Grace is this?” So he wrote to the post master of Puttaparthi whether there was any one who was an expert in the treatment of heart problems? That is what he imagined this was all about. Then he received a reply which said: “It is not simply heart. He who accused Arjuna of weakness of heart and strengthened his heart to fight the battle, He is here!” Based on this scant, but incredible information, he then made the journey over here (Prasanthi) with his son. Because I am also a Kerala man, Baba asked me to look after this boy. I was told this nine years old boy was pretty weak. Baba gave him vibhuti and he became much better. He had to be given some special dishes, and I could prepare it along with my people, and he gained his health. 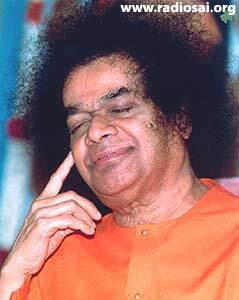 So he spoke to Him: “Swami this calamity has happened.” Swami asked him: “How many doctors have examined him?” “One, Swami.” And He advised that a panel of doctors should examine his son and that he will be alright. So, you know among doctors they have got a kind of a professional courtesy that if even one doctor says the patient is ‘dead’, all other doctors will declare him ‘dead’ - though he may not have died. It is kind of professional togetherness - they hang together, so that they may not hang separately! And this panel of doctors certified that the boy’s heart is alright! He duly entered the Atomic Energy department and did his PHD, and I think now he is in the electronics department of a telephone factory. His name is Dr. Radhakrishna. So here is a case of drawing the boy, the parents and the family. Like that people who have absolutely no faith, people who are denying God or denying Baba, He catches them by some miracle like this. The North Eastern frontier – the China-India border – is a very nervous area and the tribals’ loyalty was always wavering. Our people (Indians) had to leave a large portion of that area and come away, because they were not sure of the loyalties of the tribals around them. Lieutenant Colonel Raja, who is the Lieutenant Governor of Arunachal Pradesh now, was then advisor to the Governor on tribal affairs. And the leader of these tribals was a man called Bukanate whose word was law for at least some 10,000 square miles of that area. For some time he had been suffering with a severe stomachache and the government of India tried their best to cure him. That was the talk of the tribals - wherever they met at markets, or at the bazaar. They took him to this and that hospital, even to the All India Institute of Medical Sciences in Delhi and spent a lot of money upon him. Every doctor famous for profession put his finger on his stomach to examine him - and nothing happened. So the talk of the tribal area was: “What was happening to Bukanate’s stomachache?” And this Raja, who is a devotee, the then tribal affairs man, said: “He must be sent to Puttaparthi”. Therefore he arranged what is called a “Bharath Darshan”. He collected a number of tribals and put them into a train and prepared a time table so that they can go all around India - and he included Puttaparthi. They spent a lot of money upon these tribals and they were given whatever they wanted, so that they might support India rather than China. And they came to Puttaparthi - this group of about 15 people accompanied by a secretary to the government who was arranging this entire trip and who had to prepare a report to the government about the tour. And Baba spoke to them in their language – the Adi language. This is mentioned in the government report. And He discovered that this man had a stomachache. So He materialized vibhuti, and gave it to him and the report says that night he ate 3 chapattis at the canteen. And after that day, every day his bill came to thirty rupees! In those old days! So Baba is now the family deity of the entire tribal area. The Defense Minister was saying: “He has saved us five divisions of the Indian army.” So, the tribals are now definitely on the side of Puttaparthi - though not of India ! And they wanted to build a temple there for their God; which is Dono Polo - the Sun and the Moon. Wonderful Gods to select – Sun and the Moon. And Baba has drawn them a kind of an architectural plan. They consult Baba for everything now. And they wanted an idol to be installed in the temple. Somebody was saying: “Cannot Baba produce a pumpkin which can be held in one fist?” But in that report, you will find Baba waved both His hands and materialized a 10 by 18 inches copper plate - or five metals plate - in which you’ve got the Sun and the Moon and that is now installed in that temple in the North Eastern frontier. So Baba has become a tribal deity of that area. I told you that He spoke Adi language. In Africa, He spoke the Swahili language. If He must speak to somebody who knows only a particular language; ad hoc, in that situation, He will use that language. A mother uses only that language which the child understands. Baba’s love is so powerful! "Sai's Kasturi...A Phantasmagoric Fragrance Forever", Please click here. Dear Reader, did you find this article helpful? Did you read the cover story we have on Prof. Kasturi in this issue? Please share your feelings with us at [email protected] mentioning your name and country. Thank you for your time.